a skilled Estate Planning attorney to ensure that the trust is properly set up. One of the great advantages of a trust is that the assets transferred to a trust during someones lifetime do not have to go through Probate proceedings. This can mean saving a significant amount of money for the estate in avoiding potential litigation in Surrogates Court. Guardianship Proceedings are sometimes a neccessary and important measure to ensure an incapacitated person is properly cared for. Planning for potential incapacity is very prudent and is something that all individuals should consider regardless of ones current condition. Such steps include having a Living Will, having health care proxies, as well considering executing a Power of Attorney. Many times individuals will require long term care. This can be long term nursing home care, home health care or other services. To determine eligibility for many of the programs there is a means test. This means that the programs will look to whether the individual is earning under a certain amount and and has less that a certain amount in assets to be eligible for Medicaid and other related programs. It is important to plan well in advance to structure your finances to ensure you get the the maximum possible services. Upon a persons passing a family member will typically hire an estate attorney to file a petition in surrogates court to have the will admitted as the decedents last will and testament and to appoint an administrator to distribute the remainder of the decedents assets and pay any bills. Notice must be given in Surrogates court to various family members who are entitled to notice who will then have the opportunity to contest the application. 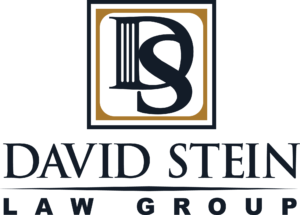 The David Stein Law Group is committed to providing New York estate planning clients and our business clients with proactive counsel, highly responsive communication and thoughtful, experienced representation.